The Wilson H22 pro stock racquet model is one of the most popular among Wilson pro players on the ATP World Tour. It is a relatively flexible racquet with a stiffer hoop, so the feeling is solid. 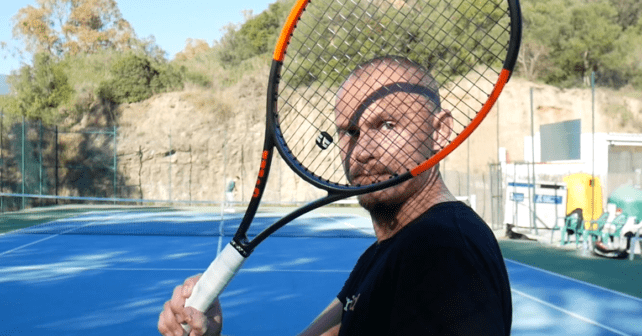 Why is it so popular on the tour, find out in this Wilson H22 pro stock racquet review. When you see a player using a paint job of something that looks like a Blade or a Burn, but something feels a little bit off, chances are they are using a H22. The H22 is Wilson’s reply to the Radical line from HEAD and my old HEAD Liquidmetal Radical Tours actually have the “H22” code on the hairpin. So the H22 is kind of the Radical Tour and the H19 the PT57A/Prestige. You really notice how solid the H22 feels. It flexes more in the throat than in the head, which is a preference of course, but I really like it. It reminds me of my HEAD LM Radical Tours, but gives me a bit bigger sweet spot thanks to the 98 sq inches. 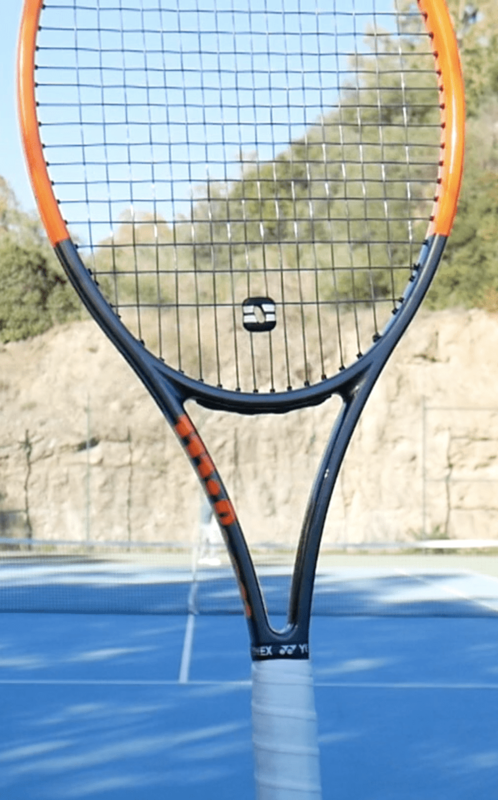 The H22 is a really well-balanced racquet and seems to do most things well. In the weight-range, I used it in (pro stocks usually come in a light hairpin form to give lots of room for customization) it was perfect for me and I really felt a nice pancake effect when I hit the ball. 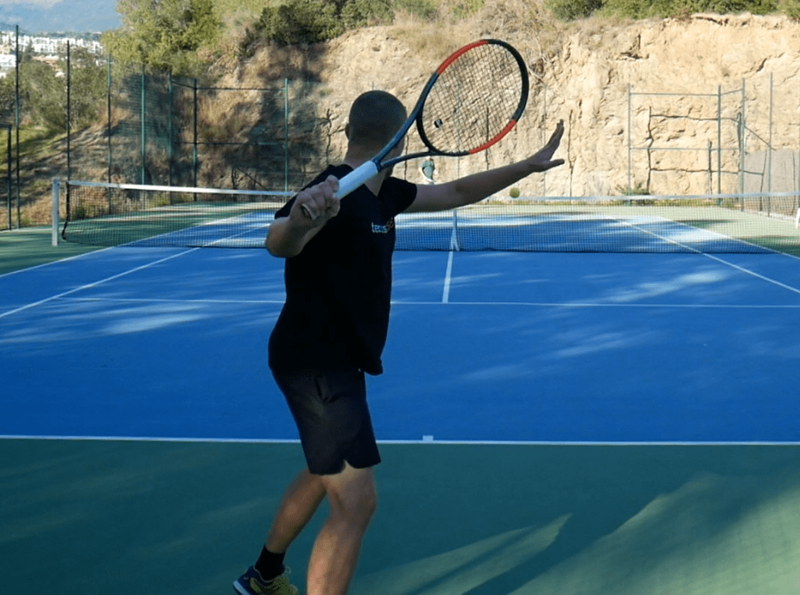 The racquet is versatile and can appeal to both aggressive and more defensive players. If you have the technique to swing it properly it delivers. Among retail racquets, the H22 pro stock is most similar to a Wilson Blade 98 and you can understand why the Blade 98 is such a popular racquet. It simply caters to a wide group of players. It doesn’t offer the spin of a Babolat Pure Aero but gives you better control and you can still pummel the ball for a winner. You can get an H22 with either 16×19 or 18×20 string pattern and either the HEAD grip shape (more rectangular) or the Wilson grip shape (more rounded). So this is an excellent and highly versatile racquet mold for Wilson to offer its pro players. They are not ultra-rare to find on forums or auction sites, but you usually have to pay upwards 300-400 euro for a H22 in good condition. You didn’t say if this could be in your bag. Is this one that similar to your LM Heads? Would you switch to it if they were retail for 300 euros? Good point, Luke. Yes, it could definitely be in my bag! You can find used H22s for around 250-300 euro, we will see…maybe in the future. Which are the main differences between this and the blade that you mencioned (18×20 or 16×19?)? The Blade is stiffer meaning that the H22 has a nicer, more plush feel. Good tip, I will write a bit about tennis accessories shortly. If you sweat a lot, the Tourna overgrip is one of the best for sweat absorption. I was just thinking I should try out H22 for quite a long. Especially that it could be customised a bit less heavy – it is still solid frame. Can you compare it to Ultra Tour and H19? It has a more firm feel in the string bed, less of a “cupping of the ball” than an H19/PT57A. I prefer it personally from the H19, but it is a matter of taste. The Ultra Tour is a good retail racquet, but it is not quite as sweet in the feel as an H22 or H19. But with some lead tape, you can still play high-level tennis with it. The Ultra Tour is somewhere in between an H22 and an H19, it has the same mold as the H19, but a stiffer feel from the string bed. Can you compare the ultra tour with the H22 in terms of power level and feel? I love the ultra tour it’s the best racquet I have played with so far. My ultra tour weighs 350g and is a monster of a racquet. I’ve played it side by side with the i.Radical, LM Radical Tour and Microgel Radical. IMHO the ultra tour has the better feel and more power. So has the H22 more power and feel than the ultra tour? That would be amazing and would cost me prob 450€ to get an H22. Is it worth it? Thx! The Ultra Tour has a more flexible feel in the string bed, while the H22 flexes more in the throat. The H22 feels more stable in general that way and is a bit more powerful. If you like the Ulta Tour more than the LM Radical Tour, you should stay with that racquet. The H22 is a good stick, but not worth a 450 euro price tag!